Considered to be the prequel to "Precise Pressure Passing" Professor Paul Schreiner is back to share his half guard system that he honed through countless hours of learning with masters. These techniques have been tested, retested and further refined at one of the toughest gyms in the world, the famed Marcelo Garcia Academy in NYC. "What brought me to Jiu-Jitsu was the efficiency of the techniques - the mechanics of the moves and strategies that let someone protect themselves and win in a fight against someone bigger and stronger. While I continue to be drawn to and amazed by the physics of the techniques, what keeps me up at night is trying to understand the space between them - understanding the connections. Jiu jitsu translates as the gentle art but it is really the art and the science of the connection between technique and will. The will to survive and to win and the technique that makes it possible. The physics of the techniques rely on our ability to connect to the ground on one side and to our opponent on the other. The art of Jiu-Jitsu is the connection of action and reaction - attack and defense. To use our opponents reactions against them. Our movements connect to each other. The strategy of safety, positional advancement, control and submission connect with an internal logic that is impossibly perfect. Training Jiu-Jitsu we are connecting to an incredible history in Brazil and before that Japan - to the great teachers and fighters of the past - and we connect to our teachers, our training partners, our team, ourselves. Teaching Jiu-Jitsu is the most rewarding thing I've ever done. I count myself lucky to work with people from every walk of life and help them experience Jiu-Jitsu. There's nothing better." Paul Schreiner started training jiu-jitsu in 1997 with Claudio Franca and Garth Taylor in Santa Cruz, Ca earning his black belt in 2007. Training and competing extensively in Brazil deepened his passion and understanding of jiu jitsu and provided exposure to some of the best teachers and competitors in the art. Competitive highlights include multiple US Open Champion, 3rd place at the 2006 Mundial (the last world championship held in Brazil), 2nd place at the 2012 Masters World Championship, ADCC trials finalist, New York open champion as well as winning multiple regional tournaments. 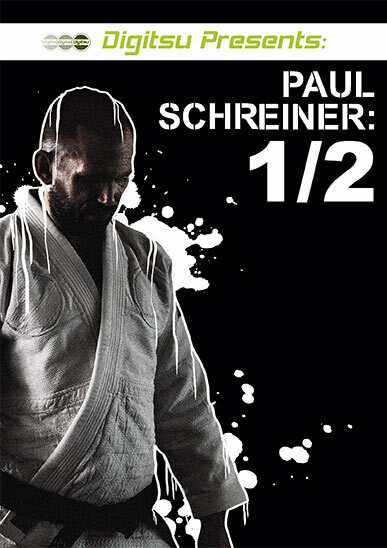 Paul Schreiner is known as a focused and technical Brazilian jiu-jitsu practioner who excels at communicating and transmitting the gentle art. His teaching experience is extraordinarily diverse and includes coaching professional jiu-jitsu and mixed martial arts athletes at the highest levels - to teaching hobbyists, kids and everyone in between. Paul has taught jiu-jitsu in corporate settings. sharing the value of jiu-jitsu in respect to a healthy lifestyle and using jiu-jitsu as a lens to provide unique insight into their respective practices. Paul's teaching experience includes starting a Brazilian jiu jitsu program at Apple headquarters in Cupertino, Ca, coaching alongside Dave Camarillo at American Kickboxing Academy, co-founding Kaijin MMA in Santa Cruz, Ca - to the pinnacle of his Brazilian jiu-jitsu career - teaching daily alongside Marcelo Garcia in New York where together with Marcelo Garcia and Bernardo Faria he has helped develop one of the strongest competition teams in the world today. Sign up to receive news, seminars and updates.